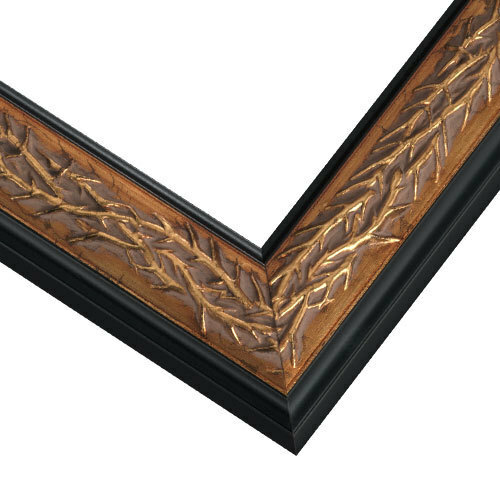 This edgy, narrow picture frame is inspired by nature. An earthen gold motif of interwoven branches is featured in the center, bordered with black satin on both sides. Ideal for nature prints, spiritual art, or anything that inspires you. Great for multiple mats. Made from natural wood. BEST ANSWER: This frame can be ordered in increments. You would simply place the 21 in the first box and then select the 1/2" in the second. Thank you!